You don’t need to be told that online shopping is big business – and starting an online shop might well prove to be a lucrative endeavour in the modern world. In the UK alone, ecommerce grew to be worth a huge €178bn in 2018. Taking a slice of that pie is enticing enough – even without knowing that, though the UK’s ecommerce market is currently the biggest in Europe, it’s still growing rapidly. Online shops are popular for obvious reason. Customers don’t have to leave their home, they (usually) don’t have to wait in queues, and they can shop at any time, 24-seven. But as well as the customer, ecommerce is also great for your business: with small start-up costs, the barrier to entry is low, you can gain instant access to a global market and start selling straight away. In building a collection from multiple suppliers, just be sure to think about brand consistency and value. Does it make sense for one shop to sell these products together? Consider what you want your shop to ultimately be known for. There are lots of ways to manage the supplier/seller relationship. Consider whether you want to be hands-on and manage logistics, or whether you would prefer to handle online sales and pass the order onto a fulfilment service. If you’re not yet sure what you’d like to sell, try asking your peers and network if there’s anything they struggle to find online. What needs aren’t being met by the current marketplace? Researching the market that exists for your shop – in other words, the customers who are most likely to buy your products – may take time and effort, but investing your time now will pay dividends later. As you learn more about your target market, your decisions will improve – whether these are decisions on price, which of your products to advertise, and what marketing channels are most likely to resonate with your audience. Working out who your target audience is, and what they expect. Look at similar products in your sector. Who’s buying them? What are customers saying about them in reviews? All of this will help you build a picture of your target customer. Visit our guide to calculating your audience size here. Gaining feedback on your online shop idea from sample target customers via focus groups and/or online questionnaires. Read our guide to this process here. Conducting a competitor analysis – make a list of your likely competitors and look into what they do, what they’re selling, who their customers are and how well they’re performing. How can you improve on them? Aim to be realistic about competition from the dominant players in your market. Try to find a niche with which you can compete by playing to your strengths – maybe your products fall into a particular narrow category, or perhaps you offer better customer service or a flexible payment approach. As a rule, you should always be mindful when you’re shopping online yourself. Make note of and learn from the experiences you have of other online stores, whether good or bad. 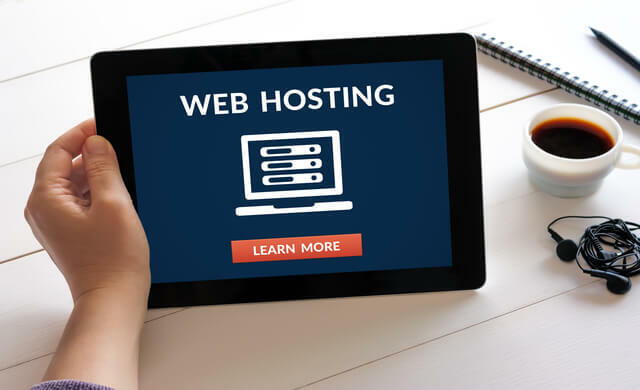 Arguably the first decision to make when starting an online shop is whether you’d like to self-host your shop, or launch it on a hosted platform. Self-hosting: Selling your products through your own website. Using a hosted site: Selling your products through an existing online marketplace, such as Amazon, Etsy or eBay. As a newcomer to the world of online shopping, a hosted site can be very tempting. After all, they come with lower start-up costs and are, of course, much easier to set up. On the flip side, a hosted site will surround your products with competition and present little opportunity to get your branding and brand message out there. Not to mention that you’ll need to pay some of your profits back to your host. Plus, self-hosting comes with less external risk. If a hosted platform undergoes technical or financial difficulties, for example, the sellers using it will suffer too. It seems like it’d be a complicated process, but starting an online shop can actually be as simple as adding ecommerce functionalities to your business’ website or blog. You’ll also need to be able to package and ship your products in a timely manner. 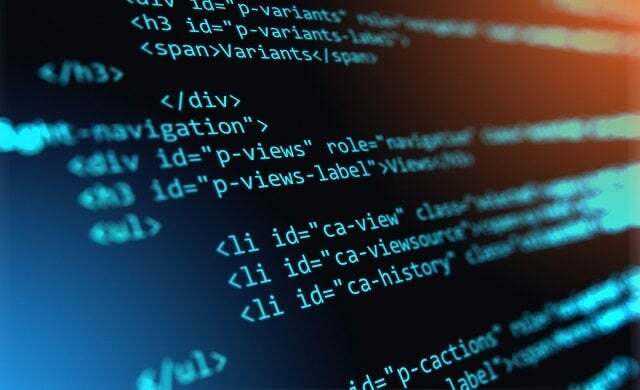 Hiring a web developer (professionals can be pricier than tools, but can offer hands-on advice and guidance). Visit our guide to building a website in seven steps for more information. Another way to integrate these functionalities is to install what’s known as an ecommerce platform. These are software applications using which entrepreneurs can build online shops, as well as manage sales and operations, using one handy programme. With so many ecommerce platforms available, visit our guide to the UK’s best ecommerce platforms for entrepreneurs for help with deciding which is right for you. Installing a shopping cart functionality. Building a catalogue for your products, separated into the categories (if any) that you’ll sort your products into. Customising shipping and payment options, adding a payment gateway that’ll securely accept credit and debit card payments. Each ecommerce platform will come with its own configuration process, but it’s worth opting for one that has an intuitive setup wizard that’ll guide you through this early building process. You will also need to make sure that your website can securely take payments from credit/debit cards and/or Direct Debits. It may be that your ecommerce platform guides you in this, but we’d also recommend checking out our guide to taking payments online to find out how to set this up! 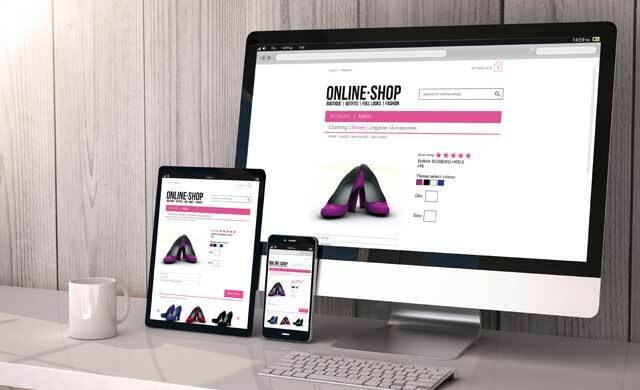 Alongside the ability to add key functions, an ecommerce platform will enable you to personalise your online shop’s design so that it fits with your business’ branding and your shop’s intentions. When it comes to this design process, you will be limited to what your ecommerce platform allows. It could be that it enables you to freely put a page together using drag and drop tools, or it might stick to a more rigid template structure. Either way, it’s important you choose a platform that offers the level of customisation that you desire. 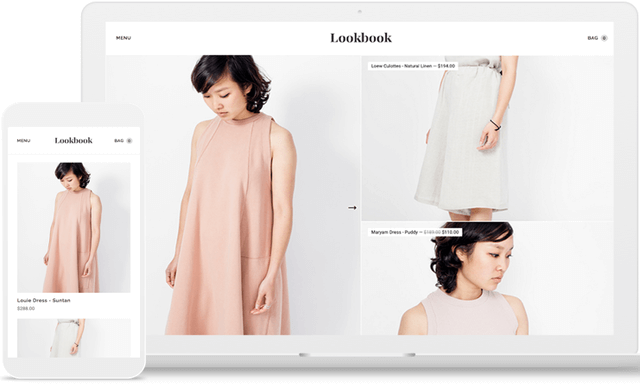 In terms of design, think of your online store as a physical store. The site should be user-friendly, with the aim of making it as easy as possible for customers to buy something. Having poor site navigation is like making somebody wander aimlessly around a physical store – before long they’ll get frustrated and walk out. The same happens online. In other words, make sure all the key elements of your site – for example, your catalogue of products, an ‘about us’ page, and the customer’s shopping cart – are easily accessible at all times. A customer will get frustrated if they’re made to click through countless pages before reaching the product category they want. Of course, where online shops have a disadvantage is that customers are unable to examine or feel a product in the flesh before deciding to buy it. So, it’s important to give as much information as possible about a product to encourage them to commit to buying it – and so they receive what they expect to receive. A blurb about the product and what it does. Remember to keep your tone of voice consistent with your branding when writing these! Multiple images of the product from different angles, ideally including an image of the item in use, or in a home setting. The product’s size and dimensions, as accurately as possible. A list of the ingredients or materials that make up the product. Any health risks, such as choking hazards or allergens, that come with the product. Important: Any photographs that you use of your products need to be of a professional standard. While it might be more expensive to get these done, it’ll make your business look better in the long run. Experiment regularly to see what has the best effect, for example, giving certain products the top spot, etc. An ecommerce platform on its own won’t necessarily come with all the features you’d like for your shop. However, many enable integration with (mostly) third-party apps – which you can download as add-ons – that add new functionalities to your website. 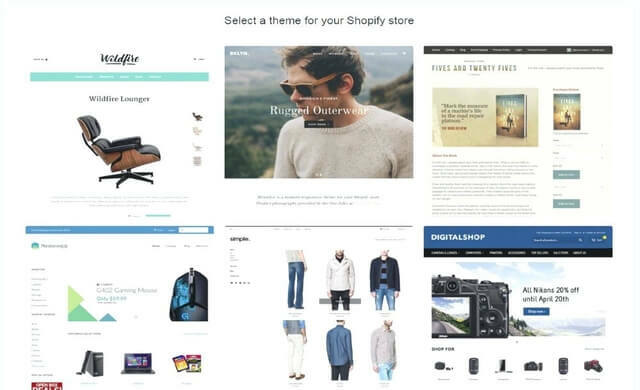 With the right add-ons installed, your site could have an impressive range of functionality – from both you and your customers’ perspective – despite the fact that it’s been built with a simple ecommerce platform template. Most rules for online retail are similar to those offline – for example, under the Sale of Goods Act, the Supply of Goods and Services Act and the Sale and Supply of Goods Act, the products you sell must be exactly as you describe in your marketing, and must be of satisfactory quality. You should charge VAT at your usual rate when selling to the EU, but if you exceed the individual VAT threshold for Germany, France, etc., then you should charge VAT at the appropriate country rate when selling into that country. If your customer is a non-Irish business in the EU and registered for VAT, you should allow them to quote their VAT number and be exempted from tax. You don’t have to charge VAT when selling outside the EU, such as to the United States. In countries outside the EU, paying local taxes is the customer’s responsibility. Under the Distance Selling Directive, you must provide full contact details to customers, including your address and phone number, and you must accept returned goods for any reason within seven working days. This may sound like a burden, but if your products are up to scratch then returns will be rare. In fact, you can turn it into a positive. Tell your customers outright that you accept returns unconditionally – this will encourage trust in your brand. On the other hand, you are not obliged to ship out orders on a Sunday. If customers return goods, you can expect them to pay for the carriage. Legally, you should not debit a customer’s credit card until the goods ship. Being aware of your customers’ expectations and being clear and upfront about your terms and conditions is vital to providing a good online experience, and ensuring that your customers come back again and again. Security is a huge priority – your customers need to feel safe using your shop, and be protected from any hacking or fraud attempts. You can ensure this from the start by choosing a reputable ecommerce platform that integrates secure payment – the industry standard is the Payment Card Industry Data Security Standard (PCI-DSS), so look out for this accreditation. You can have the sleekest site in the world filled with incredible products, but you won’t make a penny if nobody knows it’s there. When it comes to marketing, you’ll need to bear your target audience, which we covered in section two, in mind. What’s most likely to appeal to them? Advertise through social media. You should definitely launch social media accounts anyway (they’re free, and visible to a global audience), but you might also decide to pay for promoted Facebook or Instagram ads too, which target particular users. Send sample products to influencers. If a vlogger or blogger with thousands of followers showcases your product to your target audience, you might well see an uplift in sales. Make sure you’re search engine optimised. Developing a strong SEO strategy will help your shop to rank better (i.e., appear higher up the list) in search engine results. Run special offers and deals that, rather than minimising your profit margin with discounts, upsell or cross-sell your products. For example, buy one get one half price, ‘if you like this, you might also like…’, etc. Build social sharing into your user journey, encouraging customers to shout about you on social media using dedicated hashtags if they like your products. You might also run competitions which encourage social engagement with your brand. Try pay-per-click (PPC) advertising, in which you place an advert on a website and pay the website each time a user clicks it. Remember, shopping can be seasonal. Be sure to prepare well in advance for gift-giving holidays – such as Valentine’s Day, Mother’s and Father’s Days and Christmas – and big sales events such as Black Friday, Cyber Monday and Boxing Day, by tailoring your marketing and offering deals and special offers. In this article, we’ve provided you with the key information you need to know for starting an online shop, including the key features you’ll need to incorporate into your website and additional functionalities you might add, plus tips on marketing and making your ecommerce website the very best it can be. Now, in order to get started, take a look at our article on the best ecommerce platforms to find out which is right for you and your business.